How visual analytics from Measureology and the Vanguard Method for service improvement are a powerful combination. 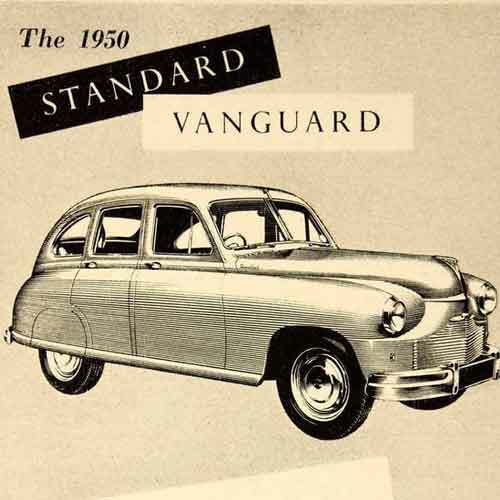 The Vanguard Method is an approach developed by John Seddon for the improvement of services and delivered through Vanguard Consulting Ltd. From its public sector origins, the method is now widely applied from housing repairs to insurance claims call centres. Seddon is the author of several books on the application of his approach to public service reform. The Vanguard Method has its origins in the thinking of management pioneers W. Edwards Deming and Russell L. Ackoff and applies the ‘Systems Thinking’ behind Lean but not necessarily the tools. Listening to the customer voice, studying the work, eliminating waste and using flow and pull systems to shrink lead times are common themes. 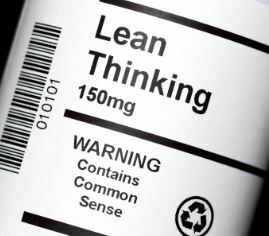 However the use of the term ‘Lean’ and its bedfellow Six Sigma can carry some certification and implementation baggage. One of Seddons mantras is that “When you focus on reducing costs, costs go up” which seems counter-intuitive. This claim arises from systems of work where there is high variety of demand which can’t be neatly chopped up into reductionist units. This is typical of many types of service in both the public and private sector as well as internal and external provision. Bouncing or referring requests creates queues of Work In Process (WIP) in other parts of the system, each seen as isolated transactions without ‘joined-up’ insight. Seddon’s assertion is that in these systems the idea of economies of scale is fundamentally flawed. The back-office or shared services model for standardised, transactional work can’t absorb the variety of demand from customers. The focus on per-transaction costs leads to what Vanguard terms: ‘failure demand’. Because customers can’t get the service they want the first time they need to come back again leading to higher total costs. Seddon claims that this failure demand can be in the order of 40-70% of total volume. This failure demand is ‘rework’ waste in the Lean sense, caused in this case by bad service design, often as a result of online (or more fashionably ‘digital’) channels. Citizens and customers are no longer treated as human beings and don’t get their problems solved. This leads to a vicious cycle of dis-satisfaction, dis-engagement and more cost-cutting. From the provider’s side, the compulsion to architect ‘command and control’ systems detaches workers from the very things which could intrinsically motivate them; purpose, autonomy and mastery. A direct involvement in improving things coupled with a cadence of reinforcing feedback are missing. Command and control systems instead impose KPIs (aka measures, metrics) on people with arbitrary targets or SLAs. Poorly designed – like the services they govern – these KPIs are disconnected from the organisation’s true purpose. In serving local goals these KPIs measure costs, activities and milestones, have low decision value and are statistically weak. By linking these KPIs to individual reward or judgement a distorted system emerges with its own self-serving purpose. Its easy to see how these flawed systems could arise across health, social care, policing and anywhere there’s an edict for local efficiencies and target-led KPIs. But what if the top-down drive for ‘efficiency’ and the rush to technology solutions were actually an invisible cause of pressure on those services? What a shocker. One of the dysfunctional levers is a focus on per-transaction costs instead of the total cost of giving customers the service they want. The presence of budgetary boundaries causes people to design locally-optimised interventions. These are barriers which protect each transaction from incurring additional cost. Customer service call centres are a hotbed for this type of rigid, ‘unit-cost’ service design. Whether you’re considering a Vanguard approach – or indeed any kind of transformational change – then the role of performance analytics can’t be underestimated. Study the Work Visually. We can help you to get visible insights by mining your existing data. We use data visualisation to tell the story of how the current system is performing. Failure Demand Analysis. Pivotal to the Vanguard business case is the concept of failure demand. We can help to gather the evidence which builds leadership knowledge about waste in the system. Performance Measure Design. We advocate the design of new performance measures before starting a transformation. By using systems thinking these new performance measures are linked to the organisations improvement strategies and purpose. By baselining the current performance, these measures can then be used to track the success of improvement interventions. Visual Reporting. Reporting these new performance measures in one place with consistent visual design provides oversight of performance improvement. A suite of dashboards or reports can be designed for both change practitioners and a more strategic audience. If you’re embarking on transformational change then get in touch to find out how visual analytics from Measureology can help.